It is unusual to read an account of hop-pickers from the point of view of the missionaries who tried to help them, but in 1933, a vicar, the Reverend Miles Sargent, wrote a book with the enigmatic title, St Francis of the Hop Fields. It tells of the mission he ran for hop-pickers during the 1920s and 1930s on Crowhurst Farm, East Peckham, between Maidstone and Tonbridge. Hertford College, Oxford, had run a mission there a few years earlier but it had come to an end, so in 1926 Sargent restarted it. It was one of several in the county and St Francis was chosen as its patron saint because of his affinity with the poor. 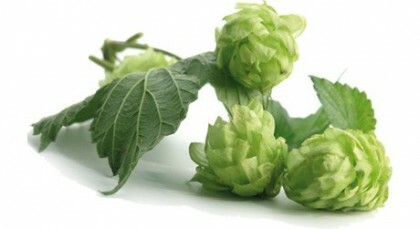 At the turn of the century, as many as 60,000 hop-pickers came to Kent every year. Arriving from the poorest slums of London, they looked upon going hopping at the end of August as their annual holiday. Few of the men were in regular work; many were dockers who never knew where their next meal was coming from, and some were costermongers. Whole families descended on the farm, so there were many children, as well as grandparents. The mission volunteers found the pickers ragged, smelly, and with an outlook on life that was different in every way from their own. These 12 young men were Oxford undergraduates and London medical students; some came for a week, some for the season. The first task, therefore, was to build a bridge of trust and friendship across the chasm of class and education that separated them from these families. Initial suspicion of the mission ‘toffs’ disappeared when they helped a sick child and put a fire out. Sargent, at that time in his thirties, wore cassock and cape and was known to all as ‘father’. He wrote of the hoppers with humour, but at times, to modern ears, he sounds condescending. On the first night, the volunteers were kept awake into the early hours by lorries rumbling in, laden with the pickers, their boxes of cooking utensils and their mattresses. Then, about 5am, those who came by the hop-pickers’ special train from London Bridge began trailing in, having walked the final two miles from the station, pushing prams of possessions. The farm had 125 hoppers’ huts, occupied by an average of six people each. They were small and basic, measuring just 10ft by 8ft, with earth floors and no window. The hoppers covered the hut floor with dry faggots and placed straw on top, followed by the feather mattress they brought for the whole family to sleep on. One outdoor tap provided water for all, so a constant procession of children with kettles passed across the field. There was little washing of bodies except on Sundays. An open fireplace of two branched sticks driven into the ground vertically, with one horizontal stick between them from which to hang a kettle, was constructed in front of each hut. Picking began at 7.30am, finishing at 5.30pm, or sooner if the oast was full. Everyone returned to their huts for tea and many then left for the pub. The volunteers lived in much the same way, working 14-hour days, with a morning and evening service daily. Wanting to be seen to share the privations of the hoppers, with no comforts, they slept in bunks in a corrugated iron mission hut which, at 16ft square, comprised three rooms. They had a table and benches and, like the hoppers, cooked outside. During the morning, the volunteers would prepare a barrow holding a large tank filled with tea, which they dragged round the hop gardens for the pickers. Mugs of tea were sold at each, together with cakes and buns. In the afternoon, they would join the hoppers, picking into their bins for a couple of hours. In addition, they manned the mission surgery for an hour in the morning and four hours in the evening, from 5.30 until 9.30pm, as well as operating a ‘mobile’ service . . . In those days before the National Health Service, the hoppers, like many others, could not afford to pay for medical care. Across the hop-growing area of Kent, there were a number of schemes to help pickers when they were ill.
From the start, the St Francis mission had a surgery. In the first season, it was a leaky old hut, but before the second season, a donor gave £50 and a sectional hut was put up and fitted with shelves. The work was that of a minor accident and emergency department. The only rule was that medicine was never sent to people, they either came and drank it in the surgery or the volunteers took it to them and saw them drink it. Pembury hospital was a haven of help. The volunteers turned up with patients at all hours of the day and night and always found a cheery welcome and space for the patient. There were three special hop-picking ailments: hop-rash, caused by scratches from the bines; hop-wrist, strained ligament due to the turning action when picking; and hop-eye, inflammation of the eye due to dust from the bines. Food poisoning was also common, one reason being that fish which had not sold in London was loaded into vans and rushed down to the hop fields, arriving about 5.30pm. It was often bad and there were also cases of poisoning caused by meat sold round the farm that had been drenched in pepper and vinegar to take away the smell. From 1932, the mission also had a travelling dispensary, a Morris one-ton commercial chassis with a covered body and a stretcher to one side, and a small glass-covered table with drawers and shelves on the other. Volunteers did rounds every evening, visiting two other farms, so medical work was done on seven farms, for between 2,000 and 3,000 people. Sometimes, patients were driven to London hospitals in the vehicle. In 1930, the mission acquired a canteen, an old army hut 60ft long. There the pickers could eat, play cards, and listen to the wireless or piano. It opened from 5pm to 10pm and had striking results, for it led to a decrease in drunkenness and proved a good way of socialising. The farm took on a quieter atmosphere. At one end was a kitchen with counter and the rest of the space was taken up with chairs, tables and an old piano. The hoppers drank halfpenny cups of tea and ate 2d fancy cakes and 1d meat pies. There were usually several tables of whist going, and some wrote letters (envelopes, paper, and ink were supplied) which were then posted for them. There were board games for the children, although a deposit was charged to avoid them all disappearing. Woodbine and Players cigarettes and Sharp’s toffees were sold. Concerts were held every week for both children and adults, occasions which gradually became orderly and well attended. However, this didn’t stop the unruly behaviour at the weekend. Sargent wrote that he and the volunteers found weekends a nightmare because Kent was flooded with visitors, some staying with friends in the huts all Saturday afternoon and Sunday morning. Travelling in coaches and huge lorries, and stopping at pubs on the way, they arrived drunk, quarrelsome, and hard to handle. Weekends always brought fights and accidents caused by drunkenness. The gulf between them and us seems unbridgeable. We can never really see life through their eyes. We can never really understand them or they us. But there is the common ground where we can all meet: love and pain and laughter and tears are the common denominator of all humanity and these we can share with them and they with us, and so the bonds of trust and affection grow stronger every year of the mission’s life. In its first year, the mission had no church, and no preaching was done, but in the second season, an old hut was made into a chapel with a marquee making the nave. Sargent was against trying to cajole the pickers to attend and for years no one came except the children, sent to give their parents a rest on Sunday afternoons. The children were told that this was God’s house and their house too. They took this literally and played in the nave, which was accepted as long as they were quiet. Every Sunday, as soon as darkness fell, the volunteers went among the huts, built a bonfire, and brought lanterns and a harmonium. A few hymns were sung, there were prayers and a short sermon. In the first year, it was a complete failure, but as each year passed, the congregation grew larger and more reverent. Before the third season started, a wooden nave was added to the chapel. Then, in 1931, an old stable was acquired as a new church and was treated respectfully by pickers. Sargent felt that, even if they did not attend, they liked to know that prayers were said for them. Clergymen were people they turned to in their hour of need.